Darkness accompanies the gentle sound of splashing water as the small group of kayaks and paddleboards made its way into the Bon Accord Lagoon under a starry sky. Their quest - to see with their own eyes the famed tiny creatures that glow in the dark – bioluminescent microorganisms that live in the Bon Accord Lagoon. Once a little-known secret, some now come from around the world to see these tiny, wondrous creatures, called dinoflagellates, which emit a biochemical reaction when disturbed, creating a phosphorescent glow underwater. Director of Stand Up Paddle Tobago, Duane Kenny, said he and his brother Brett Kenny, who are also owners of Radical Sports Tobago, stumbled upon this amazing phenomenon approximately seven years ago in 2012. Kayaking out to the lagoon from the company’s base at Pigeon Point Beach, Tobago, took a bit of arm work as the group made its way over open water toward the lagoon, which is an internationally protected Ramsar site along with the Buccoo Reef. Duane Kenny told LoopTT that the lagoon, known as a ‘Bio Bay’, is an incredibly special, unique feature, brought about by the nutrient-rich influence of the mangrove trees which surround the lagoon. Some fans of bioluminescence travel the world visiting these natural phenomena, Kenny said, and many have been astounded at the experience they encountered here. During the tour the group was also given a chance to swim, paddle and revel in the warm water of the lagoon while learning about the many other marine species which live there. The lagoon is a home for many young species as well as the protected Hawksbill turtle. 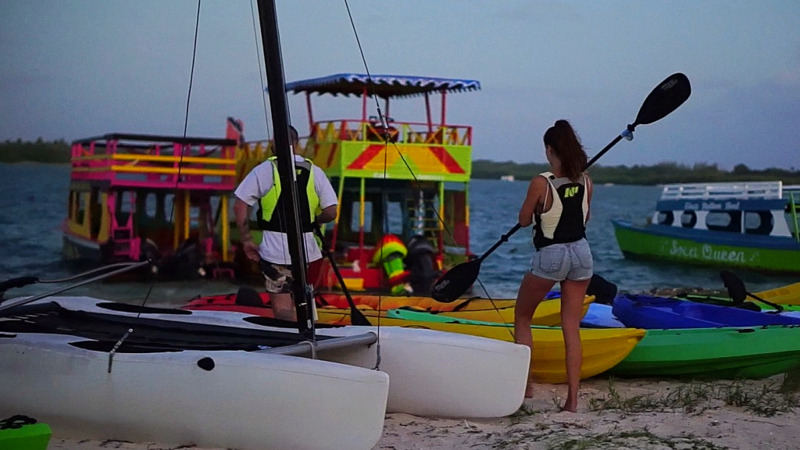 The brothers have also been careful to take an environmentally-friendly approach to the tours, using only kayaks and paddle boards and using no lights so as not to disturb the dinoflagellates. Cupping water into one’s hands, the tiny creatures appear to glow like fairy lights. Gather them into a larger vessel and they appear to mirror the stars above. Toward the middle of the tour, the group paused at No Man’s Land. “Look up at the stars,” said Brett Kenny. “Now look down and you’ll see those stars glowing in the water,” he said. Bioluminescence is the production and emission of light by a living organism. Bioluminescence allows organisms to produce their own light, which makes them appear to glow in the dark. It is thought that the phenomenon may be used by dinoflagellates to scare away or confuse predators. 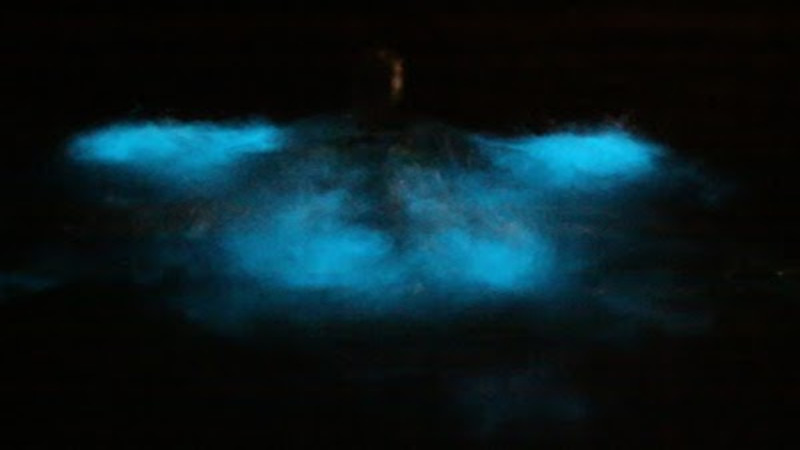 In Biobays are rare ecosystems in which enough of the dinoflagellates thrive to create this glow-in-the-dark effect so that when the water is disturbed, they appear to glow. This phenomenon has also been seen in the Ortoire River, Nariva Swamp, and Mayaro Beach, among others. The creatures require a delicate balance in order to form and very few of these locations exist in the world. The largest threat to these species is human interference, through the destruction of their habitat. Factors such as run-off from nearby buildings or the removal of mangroves could mean the end of this phenomenon as the creatures are very sensitive to chemical pollutants. An increase in light pollution in the area can reduce the observance of this phenomenon. 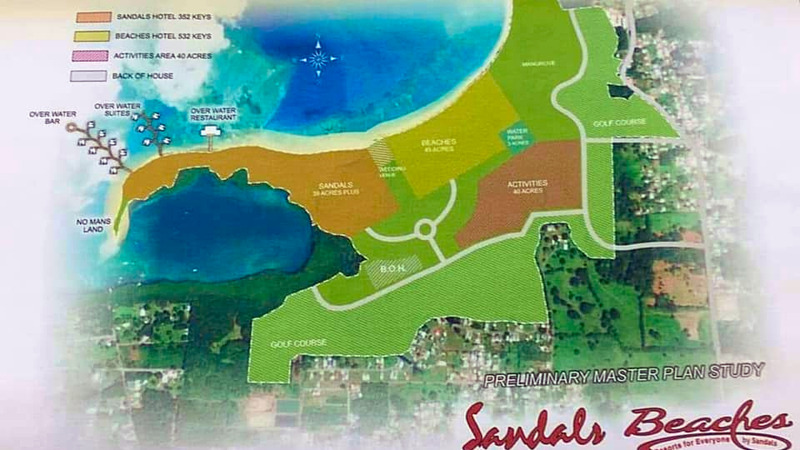 Environmentalists are concerned about a proposed project for the construction of a 900-room resort for Sandals in Bon Accord, next to the Bon Accord Lagoon and the Buccoo Reef. 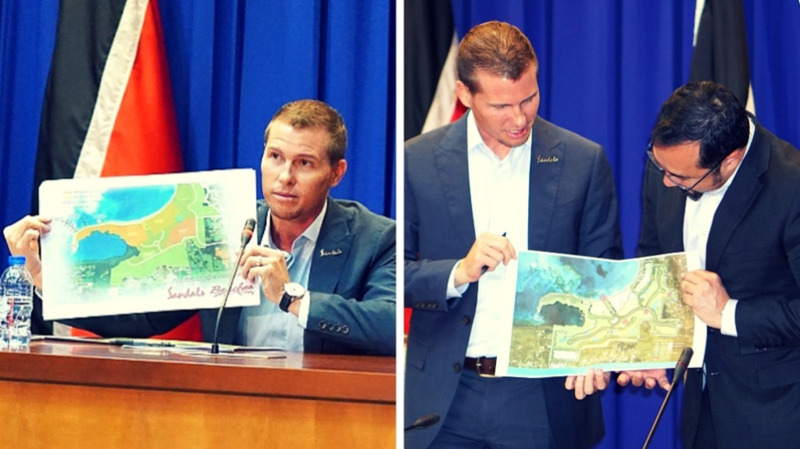 Many are concerned that the removal of mangroves could mean the destruction of the lagoon and reef.